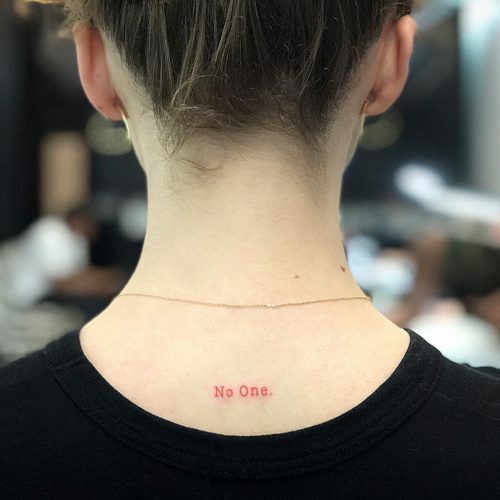 Maisie Williams inked the words “No One” on the back of her neck in August 2018. 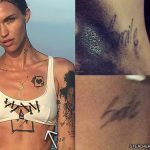 The red-ink tattoo is a tribute to her Game of Thrones character Arya Stark’s mindset as she trained at the House of Black and White. 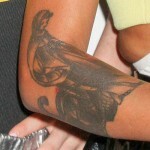 Arya is told to leave behind her own identity and become “No One” in order to join guild of the Faceless Men. 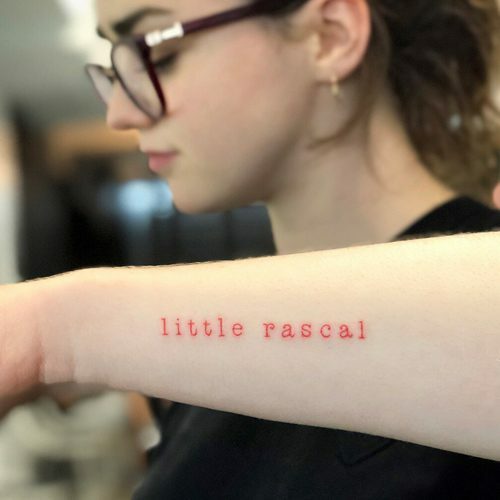 Maisie Williams has a tattoo on her left forearm reading “little rascal” in red ink. 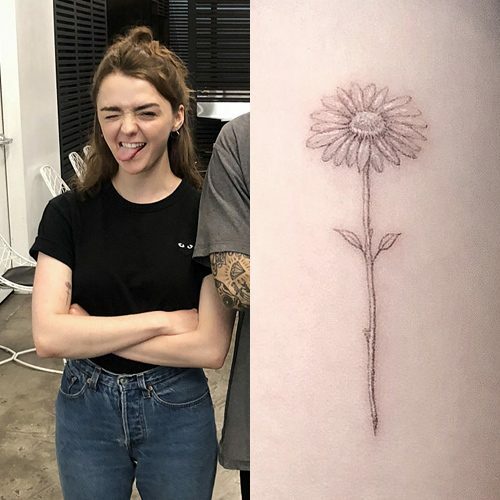 Maisie Williams has a detailed flower on her right bicep. 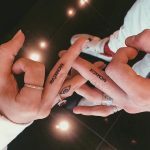 Maisie Williams and her Game of Thrones co-star Sophie Turner got matching tattoos from artist Kat Paine at Belfast City Skinworks in September 2016. 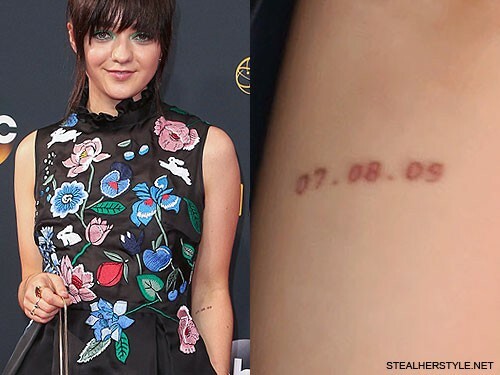 It says “07.08.09” for August 7, 2009 — the date that she found out she was cast in Game of Thrones which was her first ever professional acting job. 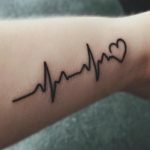 Maisie plays Arya Stark and Sophie plays her on-screen sister Sansa Stark. 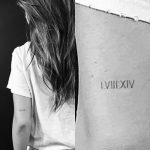 Both girls got the same tattoo just below their elbow, but Maisie’s is on her left arm while Sophie’s is on her right.